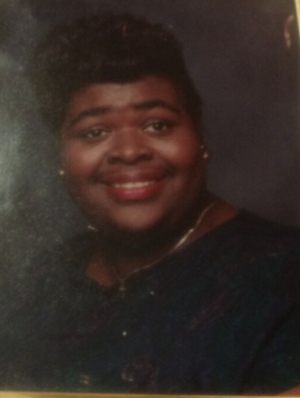 Obituary for Sonya Lamar | Rainge Memorial Chapel Inc.
Mrs. Sonya Wesley Lamar was born March 20, 1965 in Jacksonville, FL At a young age she moved to Waycross, GA. She departed this life on March 24, 2019. Sonya was affectionately known to everyone as “Tonnette.” She was educated in the Pierce County School System and graduated from High School in 1984. After graduation she attended Okefenokee Institute (Coastal Pines Technical College) and got a degree in Early Childhood Development. She loved to cook, read and work with children. She was formally employed at the Harold Center in Waycross, GA.
She was married to Mr. Berwyn Lamar for over twenty-one years. They shared a special bond with a niece Zi’Riah Studivant who lived with them. Tonnette was preceded in death by her maternal grandmother, Alberta Smith. Tonnette leaves a special love to her husband, Berwyn Lamar to treasurer forever; her mother and father, Mr. Boyse & Mrs. Mary Etta Brown of Waycross, GA, will miss her lovingly; siblings: Patricia Studivent, Linda Brown, Boise (Tocsha) Brown, Jr., Tony (Rebecca) Brown, Jim Brown, all of Waycross, GA; loving nieces, nephews, cousins, a special niece, ZiRiah Studivent; a special brother-in-law, Paul Studivent. Visitation is tentatively set for Thursday at Rainge Memorial Chapel. Floral arrangements may be purchased on the Rainge Memorial site (www.raingememorialchapelinc.com) and will be delivered to the funeral home for the family. Condolences may be expressed on the Tribute Wall on the Rainge Memorial Site for the family. Final and most sacred arrangements are entrusted to the professional care of Rainge Memorial Chapel, Inc, Blackshear, GA.